Warm weather or cold, TULSA drivers still need to think about their vehicle's air conditioning. Most TULSA people don't service their air conditioning until after it fails. At Cartec Automotive Service, we can advise you on your vehicle manufacturers preventive maintenance schedules for air conditioning service, just as we do for transmission service, oil changes and so on. Maintaining your air conditioning system means that you always have enough refrigerant to properly do the job. Small leaks in the vehicle's air conditioning system allow the refrigerant to escape and the system can't cool the air as well. We see that a lot at Cartec Automotive Service in TULSA. The refrigerant also contains oil that lubricates air conditioning components and keeps the seals resilient. Low refrigerant and lubricating oil means that the air conditioning parts will wear out prematurely, and all TULSA vehicle owners know that air conditioning repairs can be costly. At Cartec Automotive Service, we recommended that the air conditioner be run regularly, even during winter months, to keep the parts and seals lubricated. 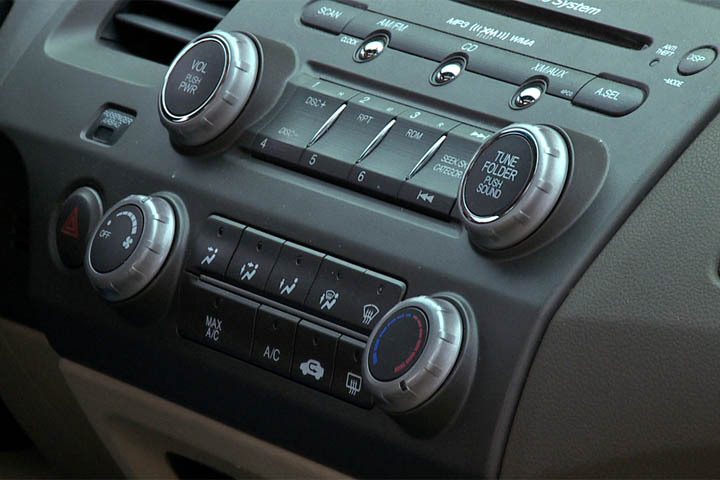 TULSA drivers need to be aware that there's one more thing that isn't directly related to air conditioning service but does impact the quality of the air in your vehicle. And that's your cabin air filter. This filter cleans dust, pollen, pollution and other impurities in the air that come from the heater and air conditioner. The cabin air filter needs to be replaced when it's dirty. If you don't, it'll start to smell. Not all vehicles have one, so ask your Cartec Automotive Service service advisor to check your cabin air filter at the same time they're doing your air conditioning service.